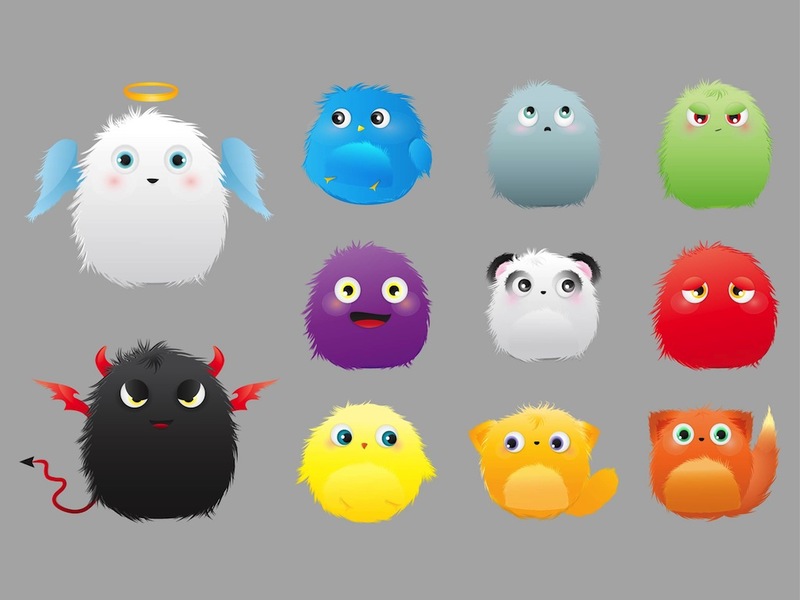 Cute fluffy vector characters. Vector image collection of adorable vector characters. Bright color animals with different expressions. Detailed illustrations of the strange animals in all the colors of the rainbow. Devil and angel fluffy animals with big shiny eyes. Free vector character design footage for your brand mascots and game characters projects. Tags: Animals, Cartoons, Colorful, Comic, Creatures, Cute, Fluffy, Fur, Mascots.